Here at SneekNET, Super Street Fighter 2 Turbo (ST) is a game we hold dear to our hearts. It’s one of those games that stirs up fond nostalgic memories of our childhood. It’s one of those games that has stood the test of time, where many have aged poorly and fallen by the wayside. We thought it would be a great opportunity to give an overview of the life of ST, from where we have come to modern day and to showcase a high score achievement which has stood for the last 20 years. SneekNET would like to wish ST a Happy 25th Anniversary! Admittedly belated but better late than never. The official birth of ST has been marked by the date stamp of the compiled code within the first known publicly released version. 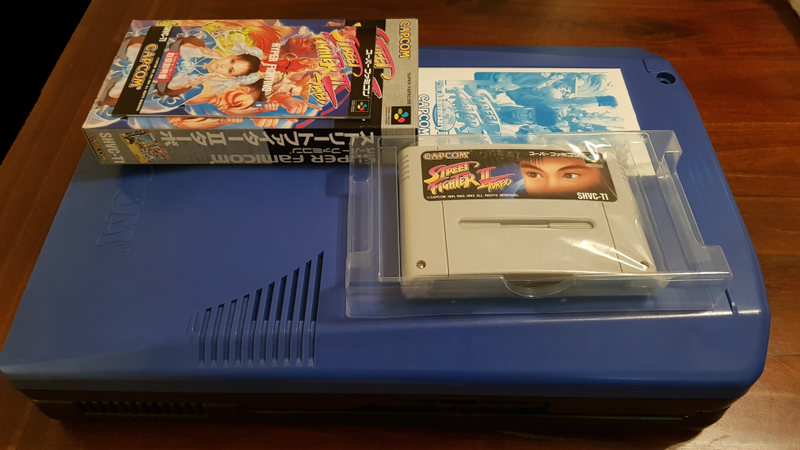 ST was launched on the Capcom Play System 2 (CPS2) platform arcade hardware. CPS2 was an arcade revolutionary platform based on a two component strategy comprising a motherboard, known as the “A board” and the game cartridge, known as the “B board”. This allowed arcade operators flexibility in switching games and minimising investment when buying new games on the platform. Think of the CPS2 system as an over-sized console, with huge game cartridges. Wind forward to 2004, where there was a general decline in the coin-op industry and arcades were not financially sound. There was a very sad day early 2004 where Capcom Coin-Op (Capcom’s Arcade Division) USA announced they had decided to call it a day. The official announcement was sent to all their distributors thanking them for all the years of support and offered a final last call on any orders they wished to make. The US doors were finally closed 31st March 2004. From that final call, all remaining stock was liquidated and sold to distributors. As part of that order, there was a bit of ST history. I present the last ST arcade kit to leave Capcom Coin-Op’s factory in 2004. The kit has now finally taken residence in my personal collection and will be kept to ensure that point in ST’s history is preserved. Even though ST is 25 years and counting, to this day it’s still going strong. There are many organisations, tournaments, communities throughout the world that are still promoting the game they love. Most notable mention is the “ST Revival” which is dedicated to preaching about ST and competitions around the world. The longevity of ST is a testament to its overall popularity and game depth which has stemmed longlife healthy competition. The ST meta game has shifted many times over the years where players were consistently uncovering new techniques and tricks. ST has deep complexity and lends itself to strong fighting game fundamentals, such as zoning and footsies. Speaking of strong fighting game fundamentals, it is impossible to write a ST article without mentioning “The Beast” – Daigo Umehara (梅原 大吾). The Japanese born competitor is one of the most iconic and talented 2D fighting game specialists to ever walk the planet. It is not an exaggeration to say, he is one of the greatest fighting game competitors of all time. ST, as a game, lends itself perfectly into Daigo’s strengths and play style. His talent has netted him many tournament victories over the years, including; Super Battle Opera, multiple EVO, SBO and X-Mania – just to name a few. From 1994 through to present times, a lot has changed as gaming moved from its roots of the arcade to modern consoles. “Undamned” – Brain Grissom, has created a “consolised” CPS2 system, UD-CPS2, which comprises real hardware with modifications to allow USB inputs to cater for modern day portable arcade sticks. More and more players are becoming accustomed to these arcade sticks which are created for modern consoles (Playstation and Xbox) and less play on actual arcade cabinets. The UD-CPS2 allows players to use their personal modern equipment and tournament operators to use real arcade equipment. Undamned showcased his prototype at EVO2013 and ever since it has become a standard for ST tournaments in the western world. Apart from the obvious more traditional competition of versus in tournaments, there is another competitive stream; high scoring. The premise is to execute a perfect game by exploiting computer AI and optimising the points system of the game to produce the highest score possible. There are generally rules around allowed game settings and game breaking bugs. Records are adjudicated and preserved on various websites, such as; Twin Galaxies, Aurcade, MARP and Gamest/Arcadia. SneekNETS’s Evan Weston, has been consistently breaking Street Fighter records over the last few years. With the 25th Anniversary in mind he had set himself the task of destroying the two current standing records for ST.
Evan has recently successfully beaten both records on both versions of the game. He expressed the following after beating the first SSF2X record. Evan still feels like he has a lot to learn and will continue playing to see what else is still left on the table, from a scoring perspective. There are a lot of Japanese records which are not very well documented. Some of these can be found in old Gamest magazines but the settings and rules were not always clearly defined. A lot of these are on normal difficulty and utilise autofire, which is not acceptable on western websites. However, some of these have been seen to have over 4 million points. Stay tuned to see how Evan does as he pushes to have 2 million points on both versions of ST. Final mention, Australia might not have the calibre of Japanese superstars which participate in tournaments such as the Star Cup but we are going to celebrate ST’s 25th anniversary with a local tournament of our own. 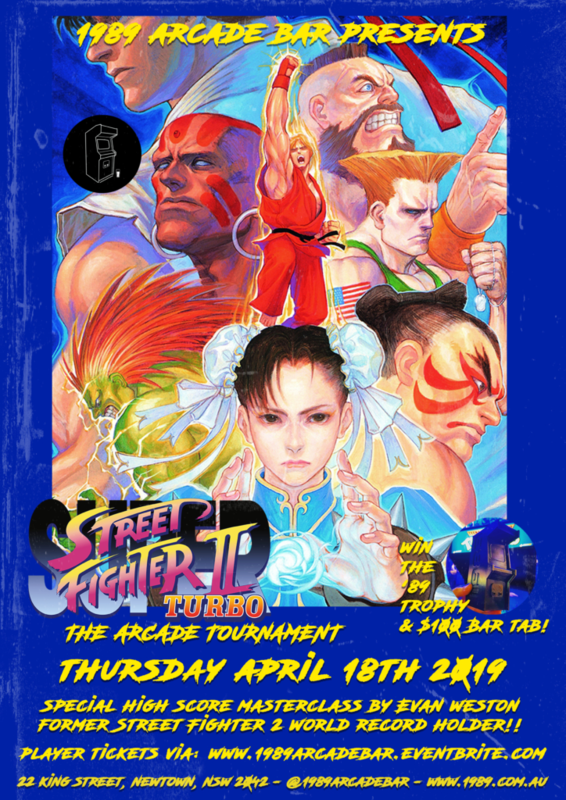 Hosted at our local Barcade in Sydney, 1989 (http://1989.com.au) there will be a ST tournament held on the 18th of April 2019. If you are a Sydney local or happen to be passing through come on down and join us in the festivities.